**Brand New Roof Being Installed** Only a handful of beautifully updated pool homes with an oversized lot, that has a 3 car garage and fenced yard become available in a much-sought-after gated community like this one. There's more than enough space in the completely open plan kitchen / family rooms to entertain and impress. All of your friends will be envious of the gorgeous environmentally friendly concrete counter tops in your light and bright kitchen. Upstairs, the Master bedroom is wall to wall parquet flooring with bamboo in the 2nd and 3rd bedrooms. The master suite overlooks the screened in pool area surrounded by fruit trees. Send this listing to your significant other, they'll agree that it's worth taking a look! Lot Size: 0.21 Acres / 9310 Sq. Ft. Directions:CAIN BLVD NORTH OF GLADES 1.5 MILES. OR CAIN BLVD. SOUTH OF YAMATO HALF A MILE. BOCA ISLES NORTH IS ON THE WEST SIDE OF CAIN BLVD TO GUARD GATE. SchoolsClick map icons below to view information for schools near 19522 Black Olive Lane Boca Raton, FL 33498. 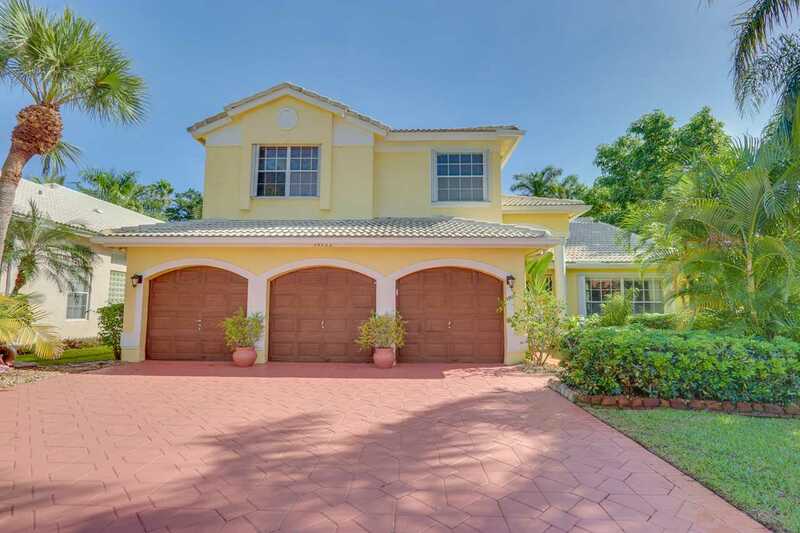 MLS # RX-10477381: This property at 19522 Black Olive Lane, Boca Raton, FL 33498 is located in the Boca Isles West subdivision and is listed for $520,000. MLS # RX-10477381 has been on the market for 173 days.